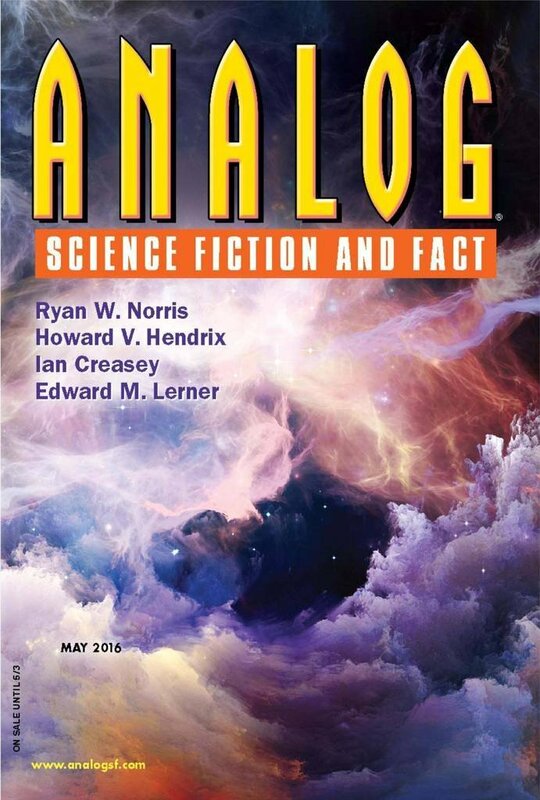 "The Infinite Manqué," by Howard V. Hendrix, appeared in the May 2016 issue of Analog Science Fiction and Fact, published March 24, 2016, by Penny Publications. Pro: Panto is the real protagonist of this story. He pursues his dream of finding the lost play headless of the cost. He succeeds, but destroys himself in the process. Panto thinks he's managed to link up with an infinity of monkeys in alternate universes, enabling him to reconstruct the lost play, and we're inclined to believe him. The experiment succeeded beyond the wildest dreams of the creators, and yet ended in disaster. The title is very clever. Manqué means "lack" in French, but it sounds like "monkey." Con: This is the Flowers for Algernon story, except without the emotional content. None of the characters in the story engages us emotionally. The disjointed narrative detracts from the story. It's not clear why this shouldn't have just been presented from start to end. It's very hard to credit a nine-year-old with even being able to read Shakespeare, much less writing it.